There have been heated debates on whether as a diabetic one should consume honey or not. Over the fact that honey is sweet most people view consuming honey as a taboo if you are diabetic. Is it safe to consume honey? 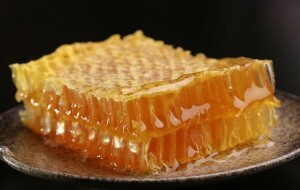 Despite the fact that honey is sweet, science has indicated that it is completely safe to consume honey as a diabetic. This article has highlighted findings from three studies to support this argument. In one of the study, the goal was to investigate the effects of consuming honey when under diabetes medication that is glibenclamide or metformin. Rats diagnosed with diabetes were used as test subjects and divided into 6 groups. The groups were administered with glibenclamide, glibenclamide and honey, metformin, metformin and honey and water respectively for 4 weeks. The findings indicated that honey significantly increases insulin produced and reduced fructosamine and hyperglycemia. Though glibenclamide and metformin on their own also reduced hyperglycemia, when combined with honey the two indicated low blood sugar levels compared to when drugs alone were administered. Glibenclamide or metformin alone didn’t reduce fructosamine. This effect was only achieved when the drugs were mixed with honey. Other than that, when the two drugs were taken administered together with honey they reduce the heightening levels of creatinine, bad fats and bad cholesterol in the body. Bad cholesterol causes heart diseases such as coronary artery failure and heart attack which is the major cause of death to people living with diabetes. To most people, it’s a wonder how honey manages to reduce the blood sugar levels. But, science has proven it does and we can’t argue with that. Honey also reduces the levels of bad cholesterol in the body. So how much honey is enough? In this study, two tablespoons were used per day. In yet another study, honey was found to improve glycemic control in the diabetic. 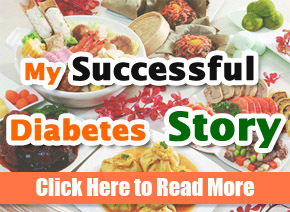 Basically, the glycemic control means keeping the blood sugar levels low. 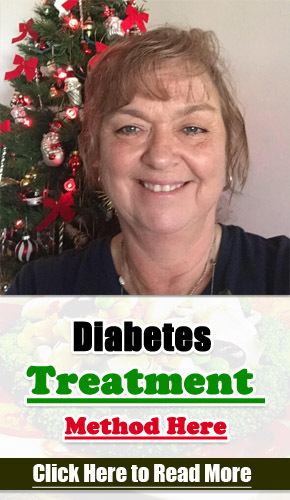 To a diabetic keeping your blood sugar levels low is what you should aim at. Other than ensuring that you maintain controlled blood sugar levels, honey also reduces the levels of bad cholesterol in both humans and rats that are diabetic. According to a recent study, obese, diabetes and insulin resistance is caused by gut flora. The science behind this fact is yet to be known and proven. 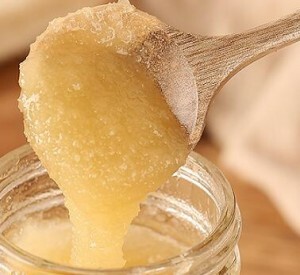 Oligosaccharides are a special sugar that is contained in honey and was found be beneficial in helping reduce the risk of having gut flora in the first place. The fact that honey contains oligosaccharides has made scientist term honey as a major contributor to helping reduce the risk of contracting diabetes among other chronic diseases. The bottom line is if you have diabetes or your body cells are resistant to the effects of insulin, then you should consider consuming raw honey. Another study published in the journal of medical food the effects of honey on body fats; blood sugar and cholesterol in the body were measured. This particular study sampled patients with type 1 diabetes in an attempt to find out the effects of consuming raw honey for 12 weeks in relation to body fat, blood glucose levels and bad cholesterol in the body. That’s study was based in Cairo, Egypt and was a randomized clinical trial. In the study 20 patients, both male and female aged between 4-18 years were sampled. A group of the patient was given raw honey amounting to approximately less than a quarter cup of honey per day for a 150-pound individual. The dosage was administered to the patients for 12 weeks. In this particular study, the major focus was on the body fats, blood glucose, and the C-peptide. C-peptide is taken so as to determine if one has type 1 diabetes or type 2 diabetes. After 12 weeks, several tests were done to the patients. The findings indicated that consuming raw honey reduces body fats, total cholesterol, and fasting blood sugar and at the same time lowered the density of lipoprotein which is also as cholesterol. As a conclusion, the author highlighted that in the long-term consuming raw honey has positive effects on the metabolic derangements of people who are type 1 diabetic. Researchers from the Middle East compiled a comprehensive review of all the research done in an attempt to find out how consuming honey affects people with type 2 diabetes. This comprehensive review focused on all studies done on human, animals, and clinics. Based on the studies the researchers found that consuming honey helps reduce blood sugar levels, increases fasting C-peptide and that hone has a low glycemic index since it doesn’t cause a sharp increase in the blood sugar levels when consumed by people with diabetes. As a diabetic, if you want to improve your blood glucose levels and lower bad cholesterol as well as body fats, then you need to determine how much honey you should consume in a day for the next 12 weeks. You will first need to determine your weight in kilograms. After knowing your kgs multiply the figure with 0.5 to determine how much honey you should consume in a day. The results will be in milliliters and you can convert it to ounces bearing in mind that 1 ounce equals 29.57 milliliters.